Medical research into genetic heart disease and sudden cardiac death has come a long way in the past few decades. Yet there are still so many missing pieces to this complex puzzle. The main aim of the Registry is to improve our understanding of inherited heart diseases in Australia. However, it will also help Australian researchers overcome the major challenge of finding the right people who might be willing to participate in new research projects. The Registry does this by recording whether you are willing to be contacted regarding future research programs for which you may be eligible. Information kept by the Registry will not be given to third party research groups unless we have your prior written consent for a proposed study. Also your details will remain anonymous because all data presented by the Registry researchers will not reveal is coded and de-identified. Privacy and confidentiality of your information is paramount. And you can make changes to your enrolment at any time by simply emailing the Registry Coordinator. The Registry was established as part of Dr Jodie Ingles’s, national Registry Coordinator, PhD project. We have already highlighted some key findings in a few research papers and presentations. 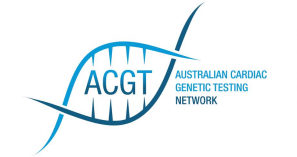 As our work continues on this important project and more families join the Registry we will be able to provide greater insight into how genetic heart disease affects Australians so we can work out better ways to improve and save lives.